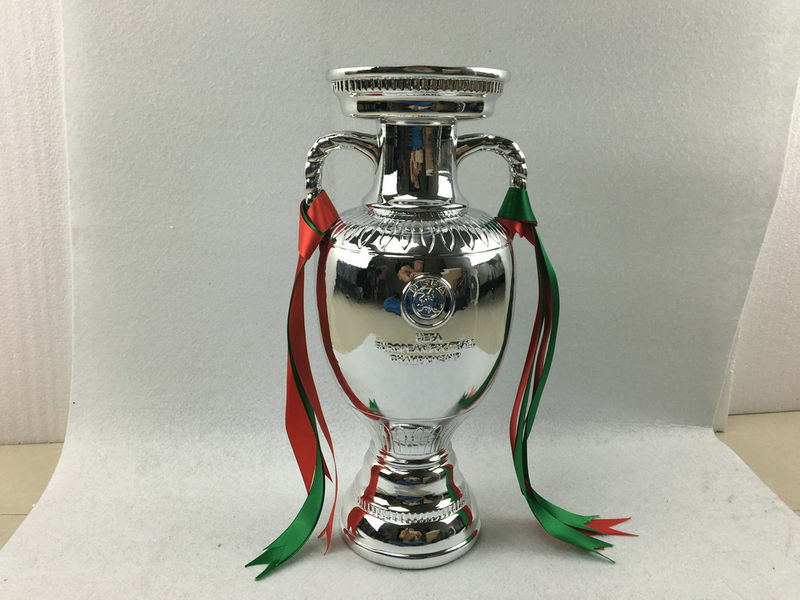 The Henri Delaunay Cup - UEFA European Champions Trophy Model Re [The Henri] - $169.00 : Trophies Art, Inc. Online Retail Store for Award Trophies, American Football, Super Bowl Trophy, UEFA Champions League Trophy, FFL or Fantasy Football League Trophy. 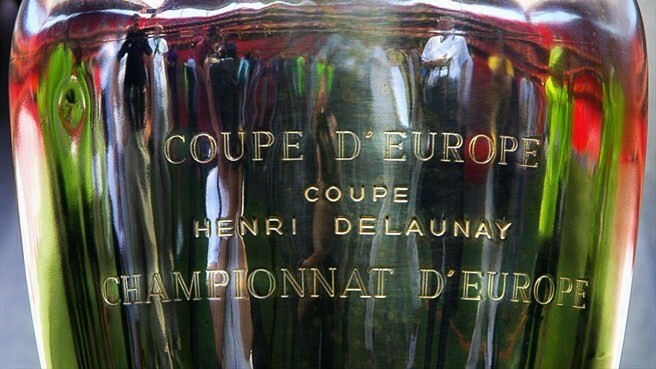 Henri Delaunay, the head of the French Football Federation, first proposed the idea of a continental championship in 1927. 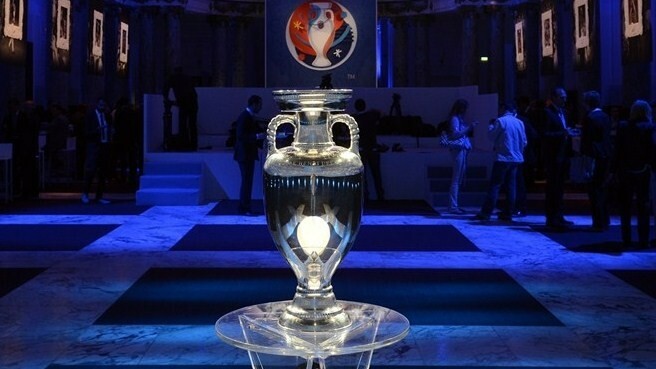 It took more than 30 years for the first round of qualification to begin, meaning he never saw his vision come to life passed away in 1955 after serving as the first General Secretary of UEFA for a year and a half. His son Pierre, who followed him in the position, took on the responsibility of seeing the competition (and, thus, its trophy) take shape.The design debuted in anticipation of the first edition of the tournament, played in France during the summer of 1960. Manufactured by the Chobillon goldsmith and purchased by the French jewelers Arthus-Bertrand, the trophy ended up with a simple, elegant style C apart from the figure of a player juggling a ball on the back. 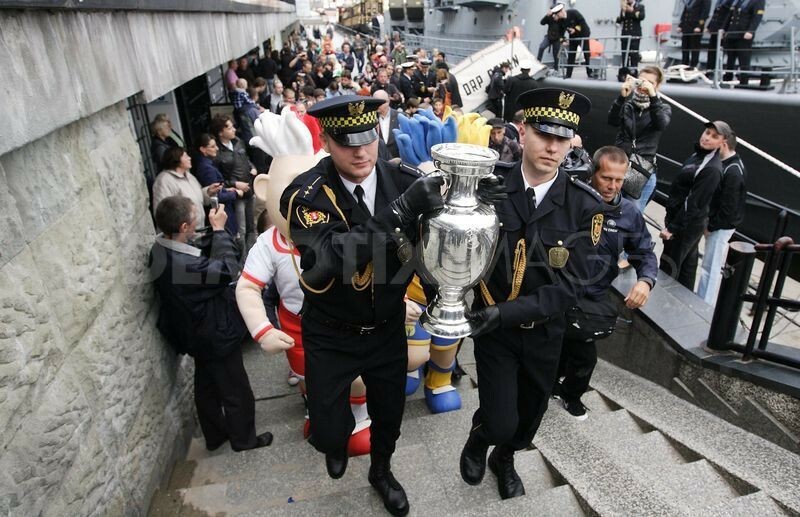 The wide barrel gave way to a slender neck and expansive, crown-like opening befitting soccers kings of Europe. 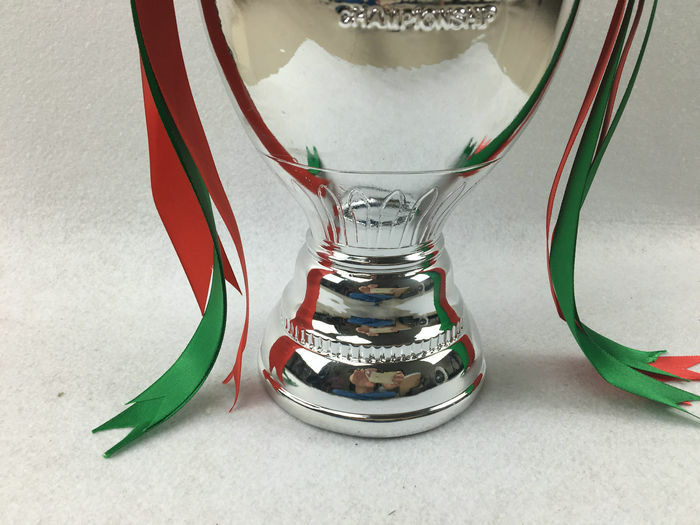 With small, braided handles, it has a sleeker and more proportional appearance than its cousin for the continent's top club team, the European Club Champions Cup. 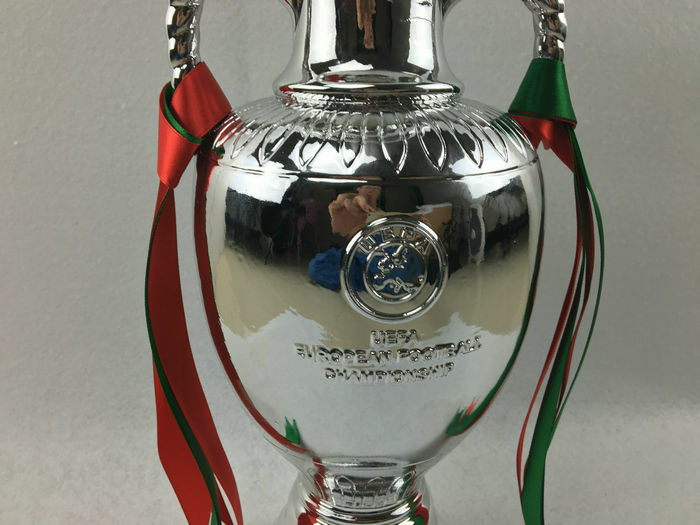 Prior to the 2008 competition in Switzerland and Austria, UEFA decided to have the Henri Delaunay Cup updated to reflect the tournaments growing stature. 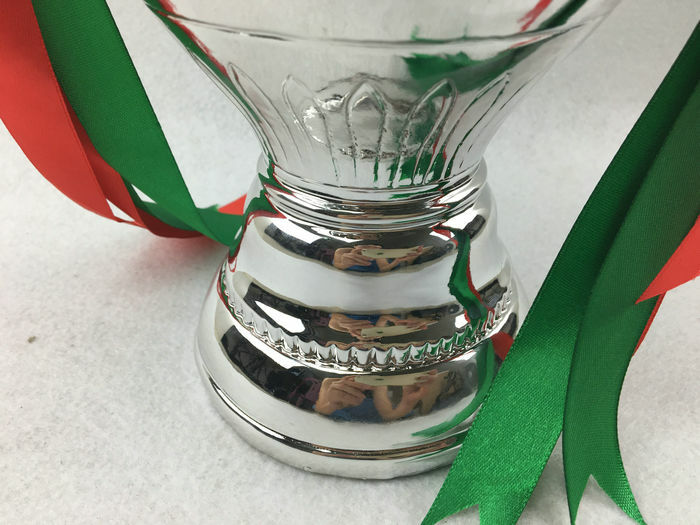 Now contested by more than three times as many nations (53 as opposed to the original 17) with a four-fold increase in teams at the championship tournament (16 instead of 4), the federation commissioned Asprey of London to bring the trophy up to snuff. Though much of the original design was retained, the newer iteration is seven inches taller and five pounds heavier than the previous incarnation. 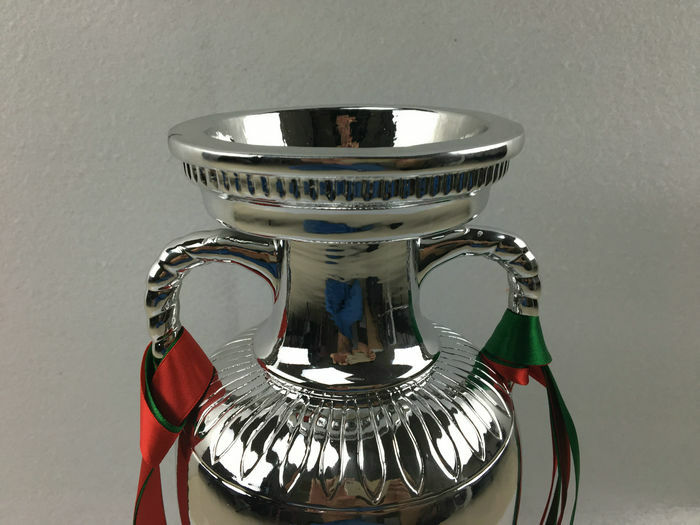 In order to accommodate the larger size, the sterling silver base was widened and the engraving of winners moved to the back of the trophy, where the juggling soccer player once was.